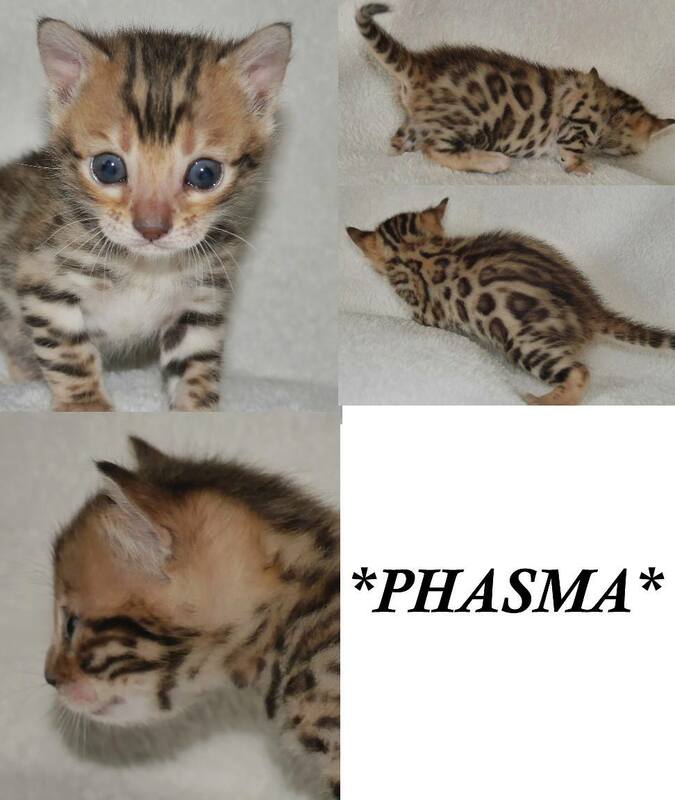 Phasma, week 3 photo update! Phasma couldn’t have a better face shape for just a little two week old baby! She has nice puffy whisker pads and the width between her eyes is great. She was born with open rosettes and they continue to become more and more contrasted every day. While it is hard to see in these pictures, she does also have an incredibly cute little rosetted tail! Parents are Poolside Rascal Cats of KotyKatz and Poolside Rascal Cats of KotyKatz. Phasma is currently under evaluation. 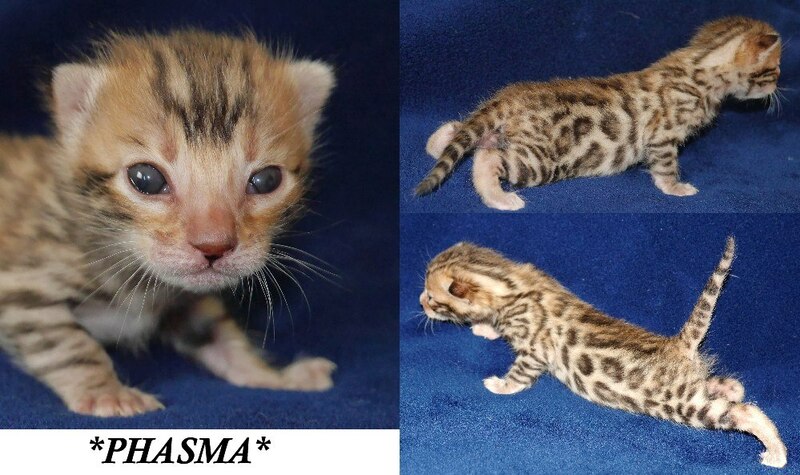 This entry was posted in Bengal Kitten Gallery, Gallery and tagged Brown rosetted bengal kitten. Bookmark the permalink.